I’ve got something to admit. I was never the biggest fan of boxes due to their random natures and, quite often, high price point for little in return. Few have interested me enough to look at them twice, largely due to never being able to guarantee the gear that you receive. DeckManiacs.com, as their name implies, specialise in the distribution of monthly boxes of gaming boxes of the card variety, whether it be Pokemon or Magic the Gathering. Both retail at £29.99 a month with the option to pre-pay 3 months (£83.99) or 6 months (£159.99), meaning a slight discount is applied if you go in it for the long haul. First impressions can mean a lot and, as per the vast majority of loot boxes, you don’t receive the gear in a neatly packaged box but instead a sturdy, if slightly ragged, box and, upon opening it, find everything wrapped in a Razer-esque green tissue paper. Regardless, we aren’t here for the wrapping, the goods lay below in the cavernous depths of lots. And lots. Of that damn tissue paper. As you can see, I easily got above the £29.99 asking price and, as a whole, was pleasantly surprised with everything that I got. Very few subscription based boxes are as open with the cost of their monthly boxes as DeckManiacs were and, for that, I can’t applaud them enough. 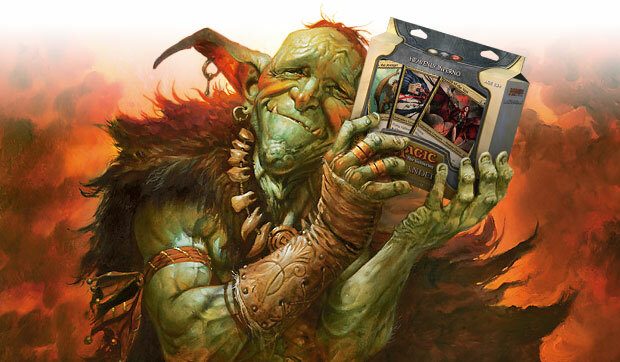 An overall great option when you’re in the market for MTG cards and, one can only hope, they bring other card variants into the mix to collect of the popularity of other geekdoms, such as Yu-Gi-Oh, for example.